New Price! Clean CARFAX. 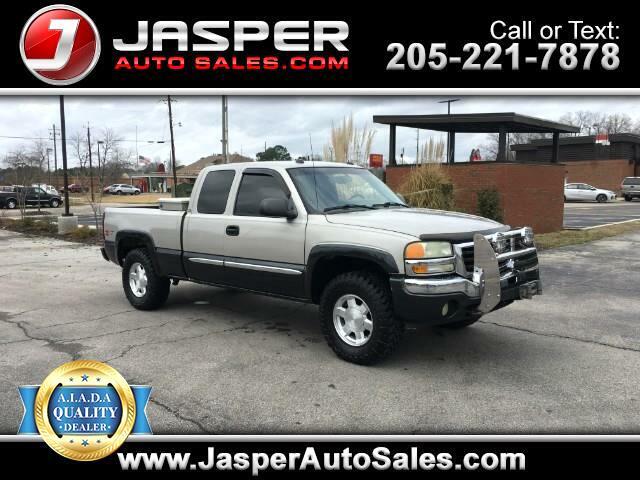 Silver Birch Metallic 2005 GMC Sierra 1500 SLT 4WD 4-Speed Automatic with Overdrive Vortec 5.3L V8 SFI Aluminum Block Vortec 5.3L V8 SFI Aluminum Block, 4-Speed Automatic with Overdrive, 4WD, ABS brakes, Black Power Folding Outside Rear-View Mirrors, Compass, Dual-Zone Automatic Air Conditioning, Emergency communication system, Front dual zone A/C, Heated door mirrors, Heated front seats, Illuminated entry, OnStar 1-Year Safe & Sound Service, Remote Keyless Entry, Remote keyless entry. Message: Thought you might be interested in this 2005 GMC Sierra 1500.